Welcome home to this stylish and gut-renovated Junior 4 apartment that has been recently featured in home décor magazines! 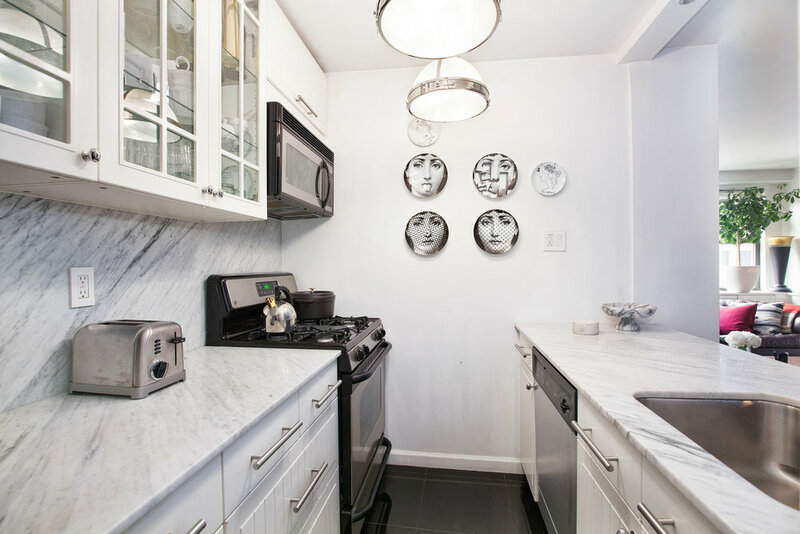 It offers a great layout, ample storage space and thoughtful updates, all located in one of Gramercy’s most sought-after buildings! This converted two-bedroom, one-bathroom apartment features large west and south facing windows in nearly every room. The oversized rooms and flexible floorplan are ready to meet your needs while the renovated open kitchen is perfect for any chef or for entertaining. Other kitchen features include top of the line stainless steel GE appliances, single piece Carrera marble countertops and backsplash and Restoration Hardware and Moen fixtures to complete the look. You'll find abundant storage space throughout the apartment with five large closets outfitted by California Closets, built-ins lining the living room plus a wall of bookshelves in the home office/second bedroom. The gracious foyer flows into the oversized living room to provide an immense space ready to accommodate living and dining spaces. The converted second bedroom is suitable for use as a home office, nursery or can be converted back to a formal dining area. The large master bedroom provides plenty of room and boasts a massive walk in closet complete with a center island. The beautifully renovated bathroom features Carrera marble and Restoration Hardware fixtures giving it a simple yet modern look and feel. The Quaker Ridge is known for its stellar financials and low maintenance, not to mentions its prime location just steps from Gramercy Park. The co-op includes a full-time doorman, live-in superintendent, new laundry facilities, bike storage and a residents-only parking garage with direct access to the building. The building allows co-purchasing and pets, but does not permit guarantors or pied-à-terres.